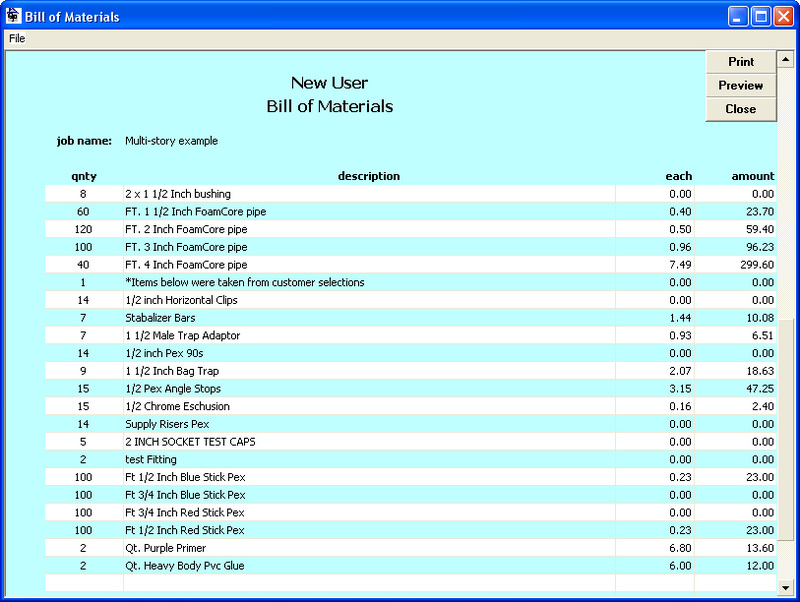 QuickPlumb will automatically create a bill of materials that can be printed or faxed to any of your suppliers. The list is taken from your drawing and from a customer selections database that you set up for each of your customers. Upload your bill of materials to our database for instant real-time ordering (account required).